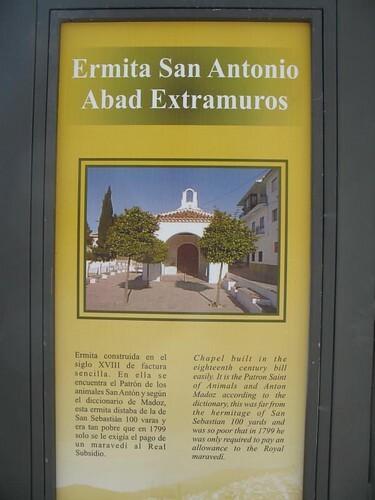 It's always amusing to find signs written in mangled English, and happily our trip to Spain did not disappoint. Here are a few of my favorites. 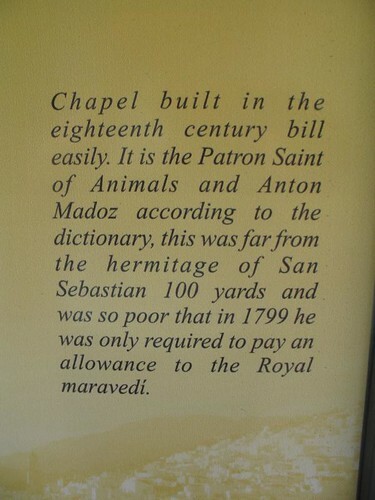 Ah, right... the maravedí. It is all clear now. 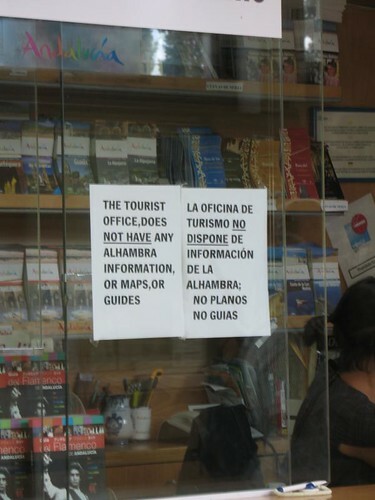 Next, this was helpfully posted in the window of the tourist office at the Alhambra. 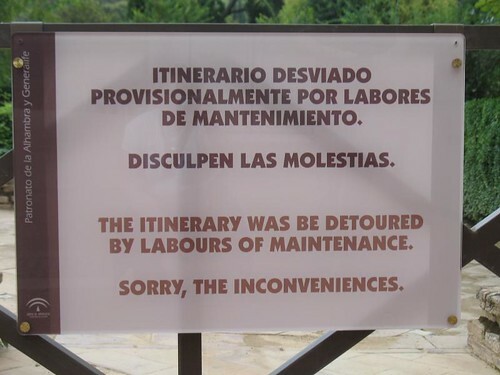 To their credit, they wrote 'inconveniences' instead opting for an easier English-sounding version of 'molestias'. It is a family-friendly place, after all. Of course, I should not mock the locals too much. Their English was much better than my rusty high school Spanish. Just don't ask for a map of the Alhambra when you get there. Silly tourist!